Drum Tops are steel or Fiberglass covers which fit over 55 gal. 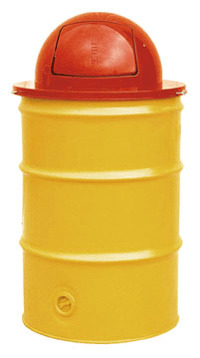 drums used for general waste disposal (Pic. 1) (V-TRASH-TOP). Both models measure 24½" in diameter.